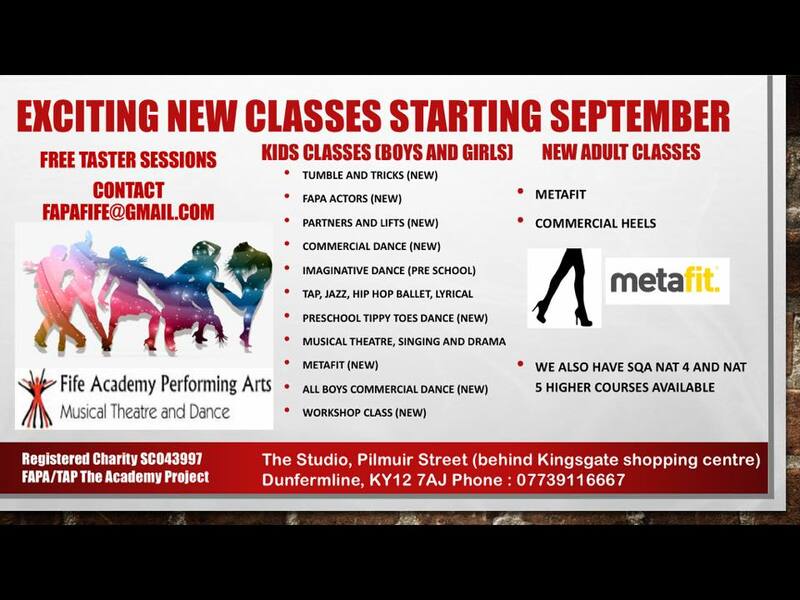 FAPA has some exciting new classes starting alongside our existing classes from the beginning of September. Below is a brief description of each class as well as the taster sessions. Please contact reception@fapa.org.uk to book a free taster. Tippy Toes dance – 11.00 – 12.00 – Age 2.5 – 5. Above class is for Boys and Girls. Students of Musical Theatre at FAPA will take part in Drama, Dance and Singing all rolled into one fantastic evening. Classes include warm ups, games, dance styles, dance technique, singing and acting for musical theatre working towards performing in 2 shows every year ! Our classes will build confidence, develop skills, encourage new friendships and most of all have great fun ! Our Ballet classes are set to music using precise and highly formalised set steps , exercises and gestures . We teach Ballet as it gives us the best grounding for every other dance style . It gives us a strong core, good posture, turnout and musicality ! Ballet is magical, exciting and also fun ! Our Tap class is a fun free class learning set steps, rhythms, routines and being allowed to make as much as noise as you like while doing so ! In these classes we get our groove on and learn the fundamentals that have evolved as part of hip-hop culture. It includes a wide range of styles primarily breaking, locking, popping and waacking. lyrical dance is a fusion of jazz and ballet styles and techniques to create a fluent and graceful dance containing lots of emotion and maturity within a dancer. An energetic and fun imaginative class containing games and sequences to help develop a young dancers inner ballet skills from early on. Combines high-octane hip hop dance routines with lively music, absorbing stories and playful props for the complete pre-school activity.